Another fantastic example of "low" art treasures (as I like to feature here), seed catalogues are a joy for any botanical print lover to behold. 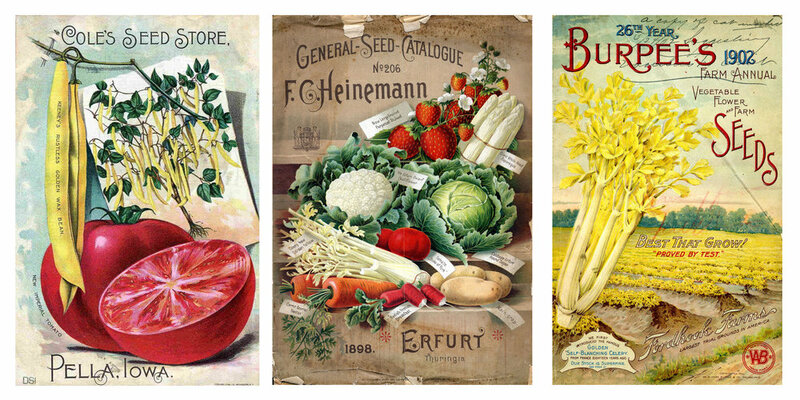 The first seed catalogue was published in 1804 by Bernard M'Mahon, and illustrations began cropping up in the periodicals by the 1820s. Their popularity steadily increased, and by the 1840s many nurseries were sending out regular catalogues despite the somewhat superfluous expense of their printing. Innovations in transportation and the US Postal Service encouraged the trend, and together they created a seed industry phenomenon, leaving us with some beautiful vintage pieces in the process. As the trend became more and more commercially successful, it expanded from its focus on practical produce seeds to feature decorative flowers that blew up as a fashionable craze towards the end of the century—all the better for us admirers today! 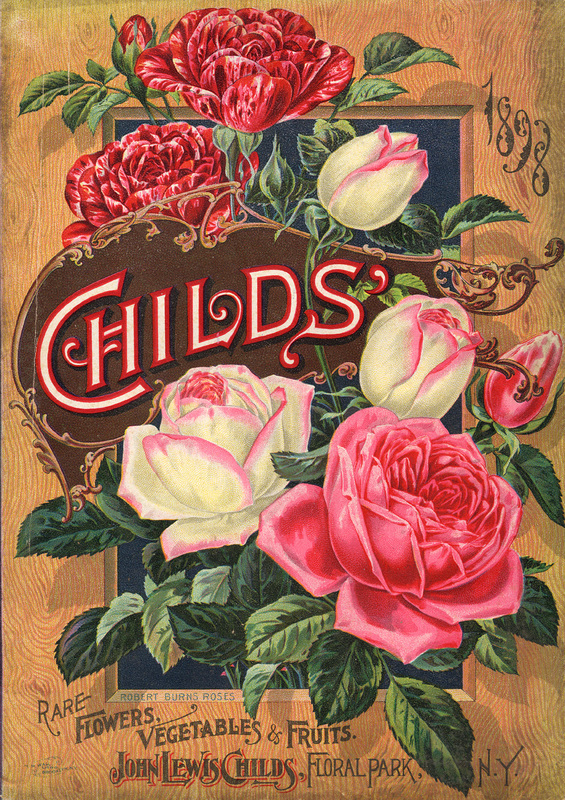 From Peter Henderson & Co., 1900. A perfect example of the trendy marketing that sprung from the popularity of the seed industry. And now, a series of florals, for your enjoyment! An example of a more delicate composition. And to finish it off, a prototypical example of the general abundant harvest, featuring both florals and produce—the best of both worlds!